If you are as dedicated a coffee drinker as I am, you’ll certainly know about Arabica coffee beans, they’re in almost every cup of coffee you drink! Coffee Drinkers of the World place considerable importance on just this one humble variety of coffee bean, the Arabica beans . While there are other varieties of coffee available worldwide, most coffee drinkers prefer their coffee to be made from Arabica coffee beans . And for good reason: it’s lower in caffeine and more refined in taste than its Robusta cousin. These days, to satisfy palates in all parts of the world, Arabica coffee beans are grown in as diverse parts of the world as Indonesia, South America and the Carribbean. In fact, they now account for over three quarters of the coffee drunk throughout the world. It has come a long way since its discovery and early cultivation in Yemen to the palates of Coffee Lovers like you and me! 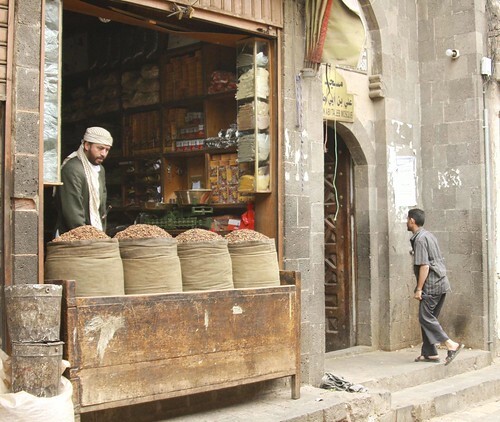 However, Yemenis seem to prefer to make their coffee in the Turkish or Greek style. One interesting twist Yemenis make and one I’ve got to try: adding some cardamom or ground ginger (which is very popular). From Yemen to the World! 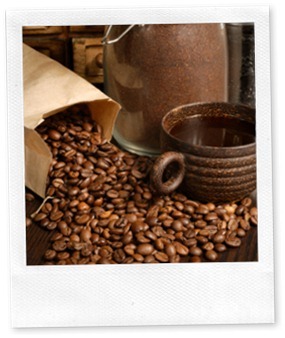 Arabica coffee beans are believed to be the first coffee ever grown. It seems that they have been cultivated in parts of the Arabian peninsula for hundreds, even thousands of years. In fact, the plant still grows wild in Ethiopia. 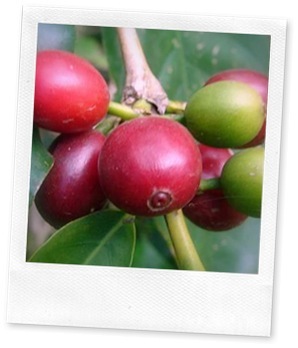 The Coffea arabica is a humble plant in many ways. In the wild, you may see the coffee plants grow to between ten and fifteen feet tall. The plant is covered in large leaves. You will also notice the pretty flowers that seem to just spill out like cream from these plants. These lush flowers will produce the coffee beans that eventually end up in our coffee cups. So Coffee Arabica plants prefer the growing conditions of places like Indonesia because its soil is enriched by volcanic activity, and Africa because the mountains offer a higher altitude away from the heat and direct sun of the plains. In fact, they prefer shaded environments provided by mountains slopes, taller trees and bigger plants so that they can mature slowly. The plant itself is vulnerable to a number of environmental problems: including disease, pests, and (at higher altitudes) frosts. All of these make harvesting more tricky and more prone to variations in quantity, quality and availability. This, of course, contributes to the higher prices paid for Arabica beans. The coffee plants need about from two to four years to grow after they are planted before they produce the scented white flowers. But coffee farmers need to be wary in case the flowers open on a sunny day. The plants may produce too many coffee cherries, and that isn’t what farmers would like to see. Why? If Arabica coffee plants overproduce in one season, then in subsequent seasons, even if planting conditions aren’t so good, the coffee plant will try to repeat that feat to the point that the health of the plant itself may be harmed. So coffee farmers carefully prune the Arabica coffee plants to restrict the number of cherries it produces and keep the plant vibrant and sustainable. Once the cherries start to ripen, you will see how the color varies from purple to even red. Maturation needs nearly 7 years even in the humid tropical warmth. Depending on where the beans are grown, harvesting may take place once a year (in Brazil) or continuously (in Java). One surprising fact: have you ever wondered why coffee plantations are so huge? That’s because an Arabica tree can sometimes only produce as little as one (yes, one!) pound of coffee per year. It takes five to six hundred pounds of coffee beans to produce just one hundred pounds of coffee! So you’re typical 2lb bag could be the result of two coffee trees annual growth! When you first pick freshly picked Arabica coffee beans, you probably couldn’t even tell that it is a coffee bean! It’s still encased in the hardened shell and protected by the husk. 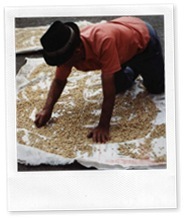 First, the husk is removed then the coffee beans begin their processing. Once you see the bean, you would be surprised by its shape and color, and also by appearance of two beans inside the fruit. The Peaberry is a type of coffee where you will find only one bean, and so many coffee drinkers value this type of coffee. The delicate coffee beans are removed from their husks, dried out in a number of ways before being sorted, packed and shipped to the coffee roasting companies. There the coffee beans are roasted and resorted into different grades before packaging and distribution. Personally, I have never drunk coffee because it was good for me! I wouldn’t encourage you to, either. However, there is a growing body of debate and evidence that drinking coffee has some health benefits: lower incidence of certain types of cancer, reduced oral cavities, prevention of some types of heart problems. I do suspect that doctors and scientists will argue the pros and cons of drinking quality coffee for years to come, so I wouldn’t want to preclude their health conclusions. In short, I cannot recommend coffee as a health food. But if you like coffee, you may be pleased to know that there are some attendant benefits. It should also be noted that these benefits only seemed to be present in those drinking more than a couple of cups of coffee a day (that’s me! – he said excitedly). 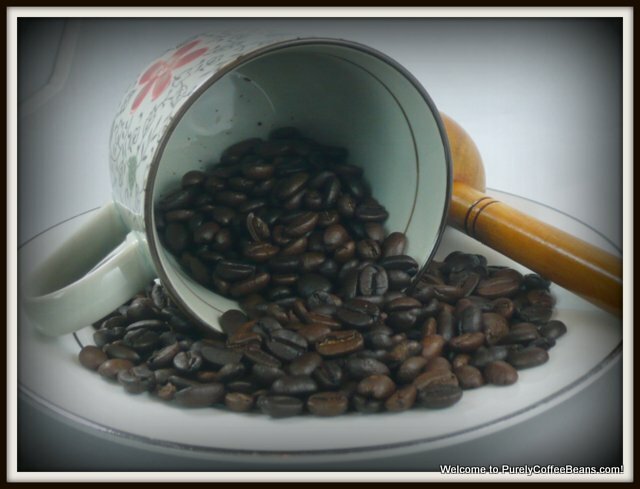 Arabica Beans – or don’t be fooled! For a long time, we’ve been drinking stuff that looks like coffee: it’s black, hot and caffeinated. But when you buy coffee in the restaurant, or coffee shop or grocery store, you may be surprised to know that it is probably not made from Arabica coffee beans. Robusta beans are usually added though they have higher levels of caffeine and taste more unpleasant, even harsh. Even the better coffee brands are often diluted with last season’s Arabica coffee beans to lighten the taste and make the coffee more appealing. 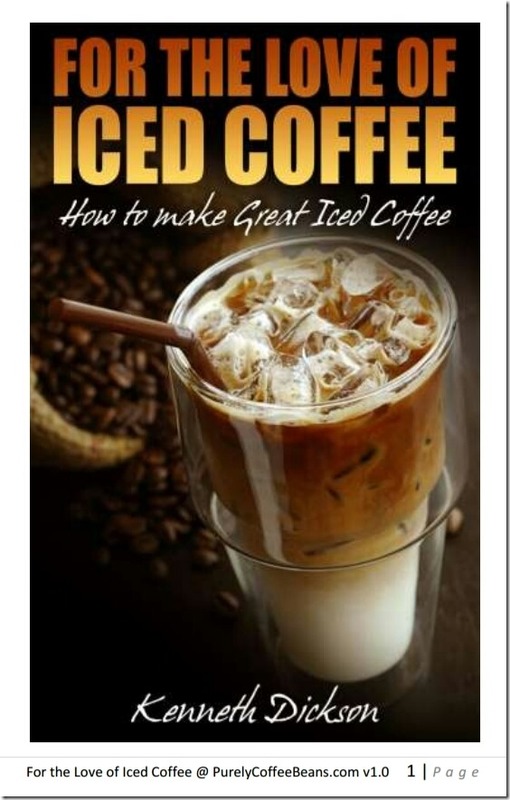 Don’t be surprised then when you have tried Arabica coffee that you find yourself having to turn down the coffee available in the local convenience store, grocery store, or gas station! You’re not a coffee snob! Because once you have tasted Arabica coffee , your taste buds become keenly aware of the difference. It’s really hard to go back to instant coffee then! Serious Eats, “Around the Caffeinated World: Yemen” @ http://drinks.seriouseats.com/2011/09/around-the-caffeinated-world-coffee-from-yemen.html retrieved 2/15/2015 by Meister. Food.com “Qishr – Yemeni Ginger Coffee Recipe” @ http://www.food.com/recipe/qishr-yemeni-ginger-coffee-288851 retrieved 2/15/2015 by Um Safia.